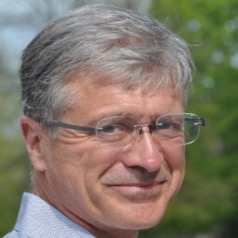 Prof. Anthony Janetos joined Boston University in May 2013 as Director of the Frederick S. Pardee Center for the Study of the Longer-Range Future and Professor of Earth and Environment. Previously, Prof. Janetos served as Director of the Joint Global Change Research Institute at the University of Maryland, where for six years he oversaw an interdisciplinary team of natural scientists, engineers and social scientists committed to understanding the problems of global climate change and their potential solutions. Prof. Janetos has devoted his career to high-impact global change science and policy, earning international recognition for his scholarship and holding executive leadership positions at institutions including the U.S. Environmental Protection Agency, NASA, World Resources Institute, and the Heinz Center for Science, Economics, and the Environment. He has written and spoken widely on the need to understand the scientific, environmental, economic, and policy linkages among the major global environmental issues, and he has served on several national and international study teams, including working as a co-chair of the U.S. National Assessment of the Potential Consequences of Climate Variability and Change. In addition to his research interests in the interaction of land systems with human needs and climate change, he has been an Intergovernmental Panel on Climate Change Lead Author and Coordinating Lead Author, and has served on multiple National Research Council Committees and Boards. Prof. Janetos received his A.B. in Biology from Harvard University and his Master’s and Ph.D. in Biology from Princeton University.